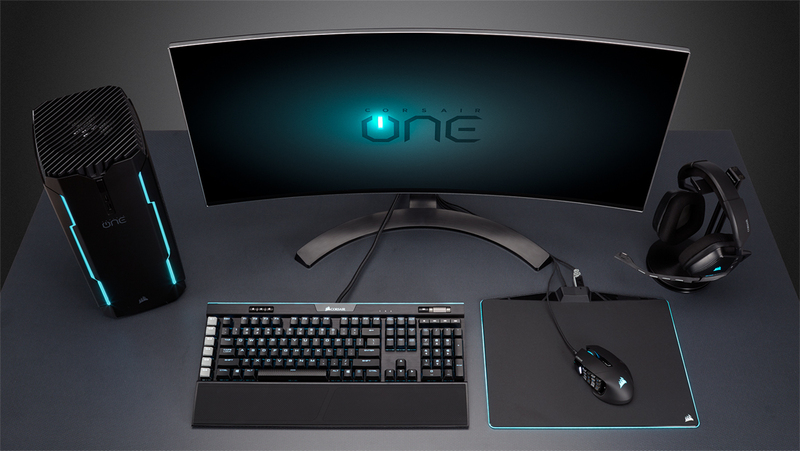 PC hardware and accessory maker Corsair surprised everyone earlier this year when it announced Corsair One, its first ever pre-built gaming PC (not to be confused with its Bulldog line of mini-ITX barebones kits from a few years back). Details on the One were sparse when revealed but now with reviews available, we’ve got plenty more information to share. The Corsair One starts at $1,799.99 for the base model (there’s also a Pro model and a Ti variant, the latter of which pushes the cost up to $2,599.99). At the entry level, you get a liquid cooled Intel Core i7-7700, 16GB of DDR4 RAM, a Z270 motherboard and an Nvidia GTX 1070 graphics card as well as a 240GB SSD, a 1TB hard drive, an 80 Plus Gold power supply and Windows 10 Home. At the opposite end of the spectrum, you’ll find a liquid cooled Nvidia GTX 1080 Ti and a 960GB solid state drive. As for the aesthetics, the Corsair One reminds me a lot of SilverStone’s older FT03 chassis (it may very well be built by SilverStone; I’m not as familiar with case designs as I once was). It ships assembled with a two-year warranty, has plenty of I/O connectivity (good news for prospective VR gamers), is bloatware-free and is said to be very quiet for what it is. The system looks to be well designed in a nice, compact bundle but such attention to detail and assembly shows at checkout – especially if you’re the type that’s used to building your own rigs. Something else that’s sure to turn tinkerers off? Opening the case, a move that will apparently void the warranty. The Corsair One is available from today via multiple online retailers including Amazon and Newegg. We have a full review of the Corsair One coming soon as well so be sure to keep your eyes peeled for that.